What does it take to be a cardiologist? What are the various specialties? If you're interested in the heart, this is the article for you. 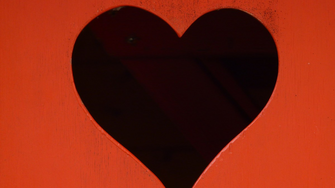 Valentine’s Day is coming up, so let’s talk about matters of the heart – specifically, cardiology. Cardiology is the branch of medicine that deals with the human heart. Cardiology does not, however, cover blood-related health concerns even though the essential fluid flows through the heart. In general, those that want to work in the heart-related field are called cardiologist. These individuals diagnose and treat a wide variety of heart diseases. They are also responsible for putting in pacemakers and stents. Cardiologists, however, are not considered to be heart surgeons. Surgeries, such as cardio bypasses and valve replacements, are conducted by cardiothoracic or thoracic surgeons rather than cardiologists. Budding physicians that decide to work in the cardiology department are required to decide early on if they want to work in the adult or pediatric specialties. Each area covers a unique set of subjects and procedures based on that particular stage in life. Furthermore, if you want to specialize in a subcategory you can only do so in the adult cardiology field. Adult cardiology has multiple branches of medicine you can choose from. To enter into the world of cardiology, an internal medicine, students must first undergo 8 years of studying. Then 3 years with an internal medicine residency followed by an additional 3 years in cardiology. From there, adult cardiologists can become a specialist in any of the following categories. Becoming an adult cardiologist is a very rewarding career. On average, a practicing cardiologist earns upwards of $430,000 a year. This field of medicine is a subcategory of pediatrics. Studying and training collectively take about 11 years to complete, not including the mandatory ongoing education requirements. Although this medical schooling track takes less time to complete than adult cardiology, it is not for the faint of heart. Pediatric cardiologists treat small children and newborns, which means they need to be great with kids and be able to mentally handle seeing children with severe illnesses. Pediatric cardiologists are brave souls that encounter heartbreaking cases frequently. But they also have the opportunity to change the life of a little one in a positive and unforgettable way.